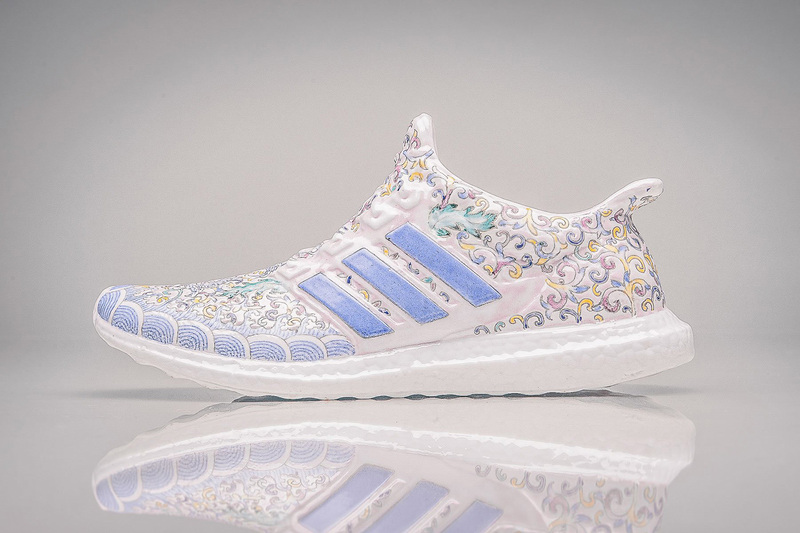 Lee Chun is a Chinese artist and has put his own spin on the the Adidas Ultra Boost giving it three ceramic makeovers. 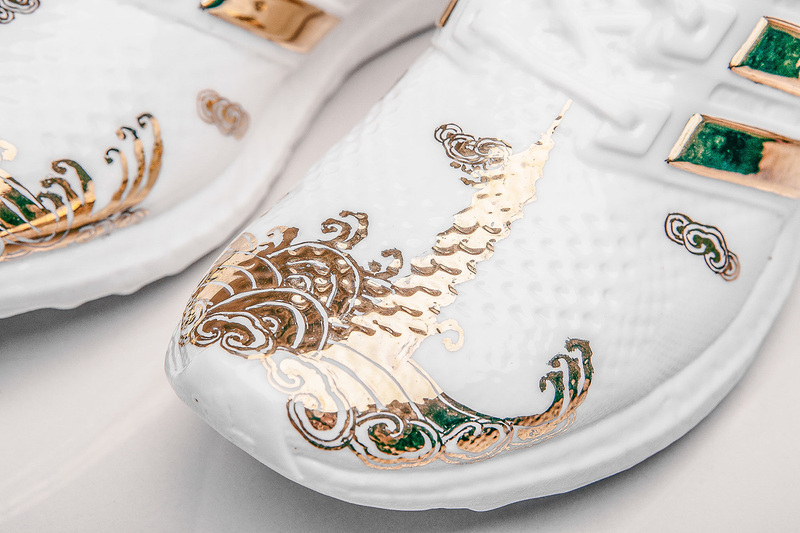 The first, a gold-dipped rendition created in celebration of the Taipei marathon, sees the ubiquitous silhouette enveloped in a metallic finish. 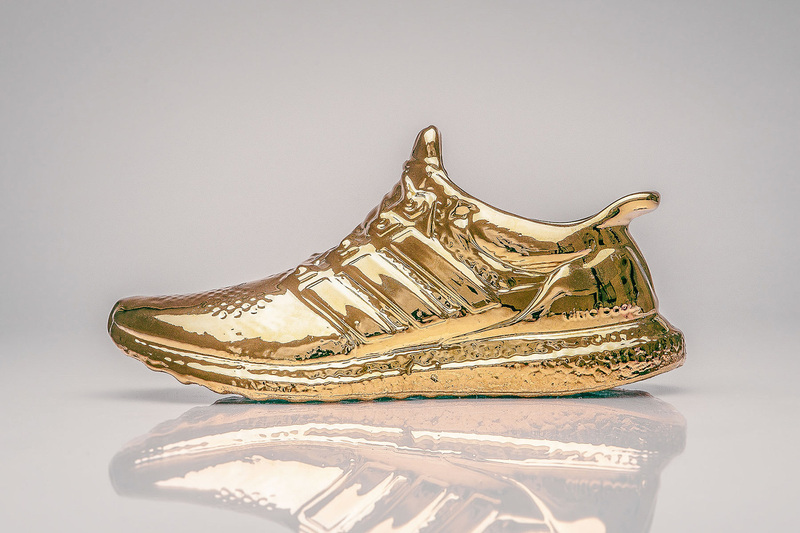 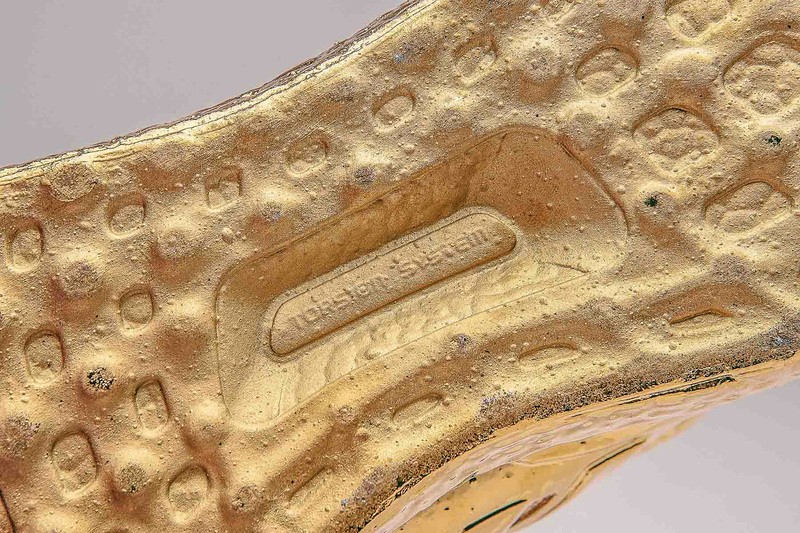 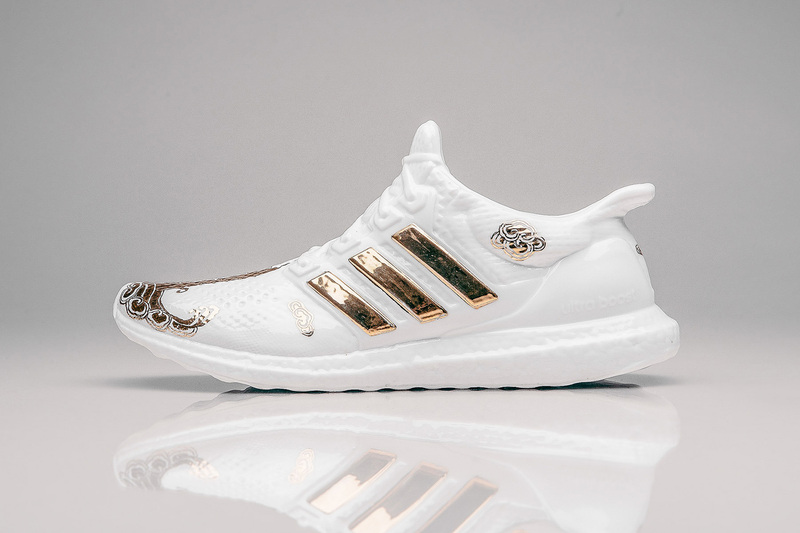 The second is a white ceramic Ultra Boost with hand-painted gold accents at the midfoot and toe box. 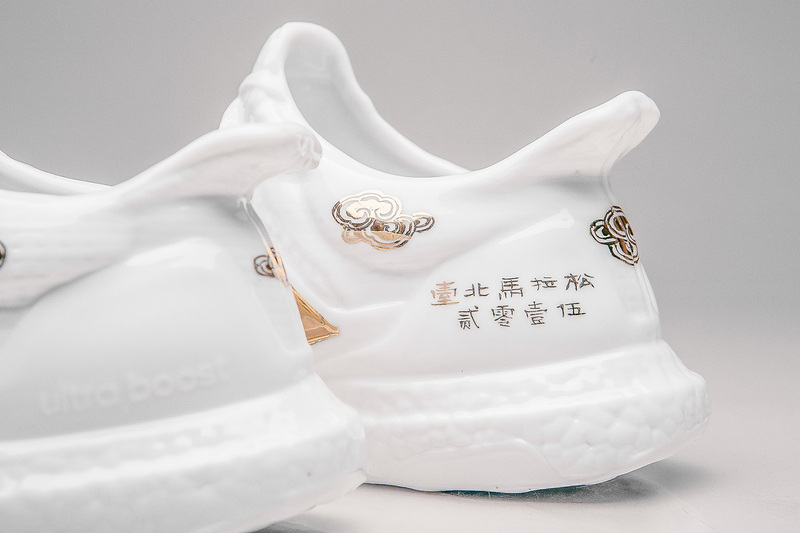 Finally, the third adopts a warm, pastel color palette and features ornamental detailing throughout the upper. 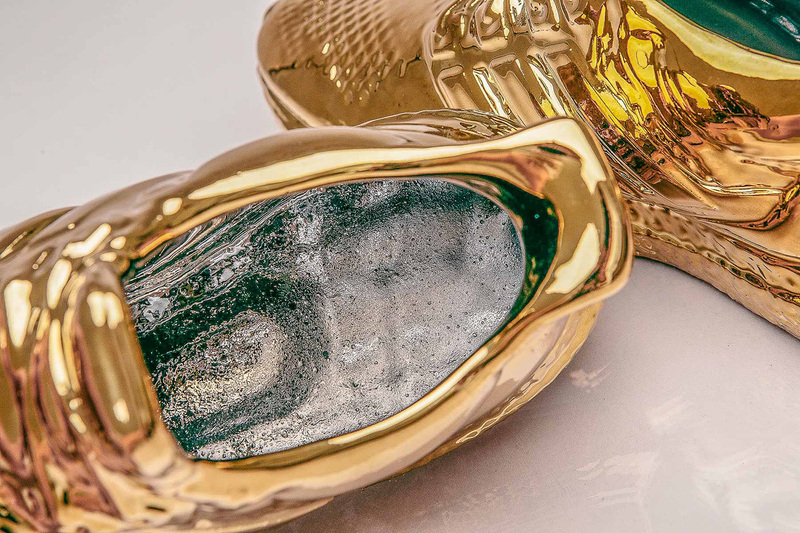 Definitely creative and different artistic take on these shoes.